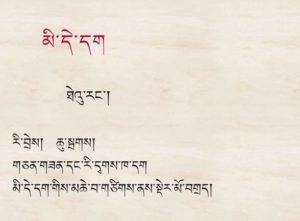 High Peaks Pure Earth presents an English translation of a new poem by Tashi Rabten, writing under his pen name, Theurang. The poem was written on May 22, 2016 and has been circulating on WeChat since then. In this poem, Theurang tackles the topic of mining in Tibet, a topic that has been in the news recently with large anti-mining protests reported in Amdo over the last weeks. Thank you to Palden Gyal for this translation. With their fangs and claws. Converted into extensive spaces of foreign, unhealthy trees. Those guests have now settled, unapologetically. Livestock disturbed, and its population dwindling. And with unblushing smiles, they reward us with a few sacks of flour. Those people really know how to ingratiate themselves. I’m very sorry for this. I visited Tibet many years ago and was a wonderful experience, i came again 8 years ago and i can recognise the same place that i knew. Street, new building, train, tunnel in the mountain, many chinese people everywhere, the Potala became a museum not a sacred place and i came back in Italy very sad for the Tibetan people. Please fight for your freedom and preserve your culture. I love you forever. Thank you so much for your concern and we will fight for our just cause. 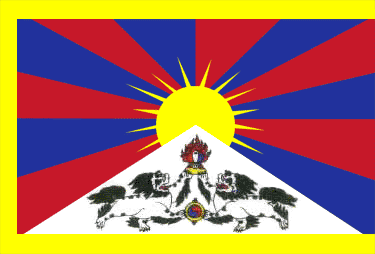 As long as the solidarity of world standing just next to the just cause of ours, Tibet will be free soon. Liberated; I am forced to beg the streets of the holy city. Of Mao rules the courtyard and hides among the icons. Seep into crevices and foul the sweet tundra streams. I am broken, condemned, and privileged to living in hell. When will this long night of insufferable dreams end? Thank you for sharing your poem!